Canada’s 150th Birthday calls for a grand celebration! 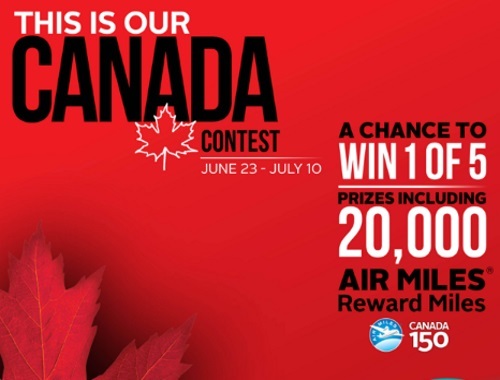 Here’s your chance to win a Grand Prize of 20,000 Air Miles! What does being Canadian mean to you? Enter at the link below for your chance to win!